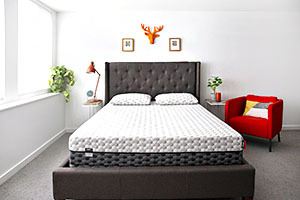 It turns out that side sleepers get a benefit in a lot of the problem areas, especially if they have the best mattress for side sleepers. And if you don’t agree, you might have to change your, ahem, position. Side sleeping decreases the risk of snoring. Did you know 40% of men and 24% of women are consistent snorers? That’s a lot of irritated partners! Snoring can be a symptom of sleep apnea, but not all snorers have sleep apnea. It is also made worse when sleeping on your back. Sleep on your side to decrease the risk of being a noisy sleeper. 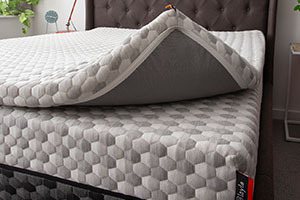 Layla sleepers say the Layla mattress “stops all the snoring!” One reviewer stated that in the past they have had to leave the room due to their partner’s snoring. But not with Layla! They have “never once heard [their partner] snore on [their] Layla bed.” Incredible! You might want to check out the best mattress for side sleepers if that is your preferred sleep position. Side sleeping can help keep your airway open. Sleep apnea inhibits an individual’s ability to get uninterrupted sleep due to an obstructed airway. Back-sleeping isn’t going to make this problem any easier – your tongue falls to the back of your throat, blocking your airway. If you suffer from sleep apnea, side sleeping along with the best mattress for side sleeping is going to give you the highest quality sleep. Keep that tongue out of the way! Layla sleepers can count on being supported in all the right places. For those with sleep apnea, these areas include the head, neck, and upper body. Similar to snoring, opening the airway can greatly improve symptoms. Layla makes this possible – soft enough to make you comfortable, and supportive enough to keep you there. Side sleeping is best for neck and back pain. When it comes to neck and back pain, your sleeping position can be very misleading. Sure, that stomach sleeping position feels good when you fall asleep. Waking up, however, can be a different story. Not only is your back arched, but also your neck isn’t meant to be in a turned position for prolonged periods of time. If you suffer from neck and/or back pain, listen up! 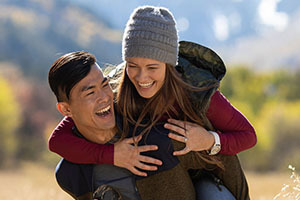 The best thing you can do is to invest in a high-quality mattress and pillow that provide support where you need it. Keeping your spine in alignment is key. Whether you sleep on your side or your back, form your pillow(s) so that the support on your neck is higher than that for your head. You might not wake up in the same position, but you can make sure you start your night off strong. Layla sleepers have the option of sleeping on a soft or firm side of their mattress. Now they can choose what feels best for them. This is just another reason why Layla is the best mattress for side sleepers. One reviewer testifies that sciatic pain is no longer a part of their life with Layla. 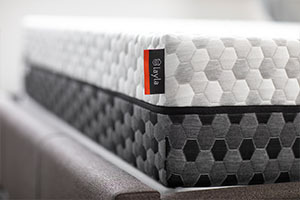 Another reviewer claims the Layla mattress delivered relief from years of back pain almost instantly! Left-side sleeping can ease heartburn symptoms. Nothing can ruin a good night of sleep like heartburn. There is nothing enjoyable or sleep-promoting about this frustrating and annoying condition. Heartburn happens for various reasons, including pregnancy or gastroesophageal reflux disease (GERD). Although symptoms can be difficult to manage, sleeping on your left side can ease the burn. 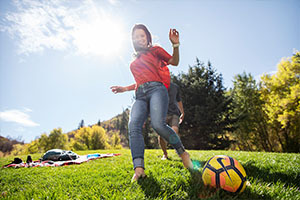 Doing so has been found to maintain muscle tone in the esophageal sphincters, preventing the backflow of acidic stomach contents toward the mouth. Need more? Elevating your upper half (chest and head) utilizes the law of gravity to lessen heartburn symptoms. Layla sleepers can easily shift to side sleeping to lessening heartburn. Due to the foam composition, as well as the flippable firmness, you won’t find yourself slowly sinking further and further into the bed. 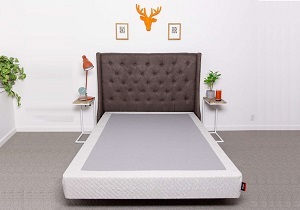 You can count on your head and chest remaining elevated through the night (unless you’re a crazy sleeper… you may have the best mattress for side sleepers but our magic isn’t that powerful!). From snoring and neck pain to heartburn and wrinkles, your sleeping position can make a significant difference in your life. The human body is incredibly responsive to change, positive or negative. Every human being needs to sleep, and it is often true that other things can overshadow the importance of that need. Make yourself and your health a priority by caring about your sleeping habits. Changing how you sleep might just be your ticket to a better night’s rest! 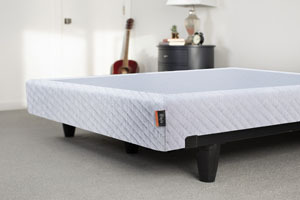 Make sure you find the best mattress for side sleepers to help prepare for your body for the best night‘s sleep!